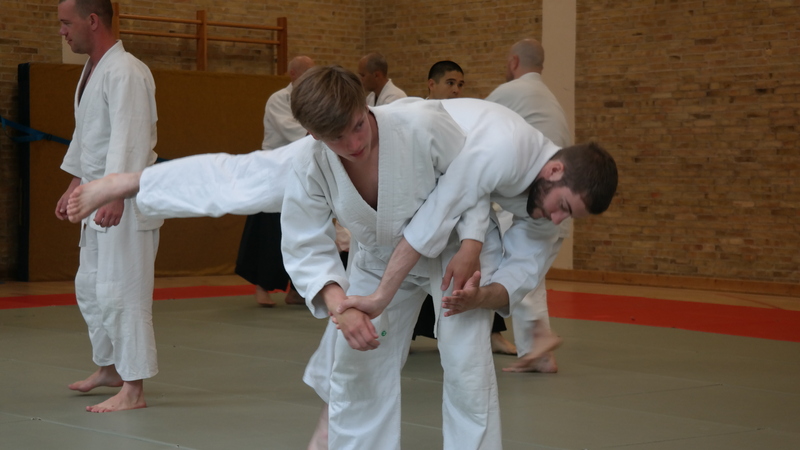 This is the first part of my travel diary to the Ken Jutsu and budo seminar in Calais. Today: The first training. You can find the other parts here: part 1, part 3, part 4, part 5, part 6, part 7. After the long trip to Calais yesterday the first night is behind me. Yesterday evenening we had the Yokoso party (welcome party) to tune us in to the coming week. The participants are from all over Europe. We are 117 people from 11 countrys – beginners to very experienced professionals. All came here to the Tom Souville-Yacht Base to practice together. We are staying in 1-6 bed rooms and the facility is relatively simple – but this is practice not vacation. But the place is situated beautifully. 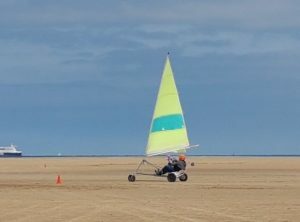 With the Strait of Dover just behind the dunes and the salty air it is easy to leave your daily concerns behind. The first night was kind of rough. With 5 room mates there is always some snorring going on – sometimes even a little more. Luckily I am not taller – I just fit into the bed. Looks like sailors are a small bunch. 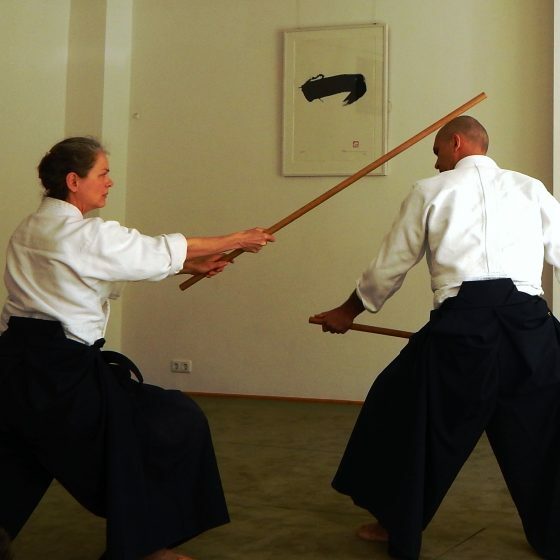 In traditional Ken Jutsu (sword fighting art) spiritual aspects are really important. 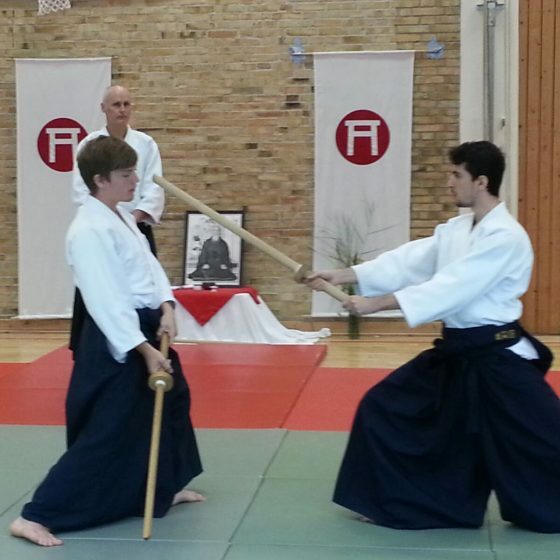 The history of ancient sword schools is threaded with myths and references to shinto. So every ISBA seminar is being prepared and opened by an officiel ceremony. 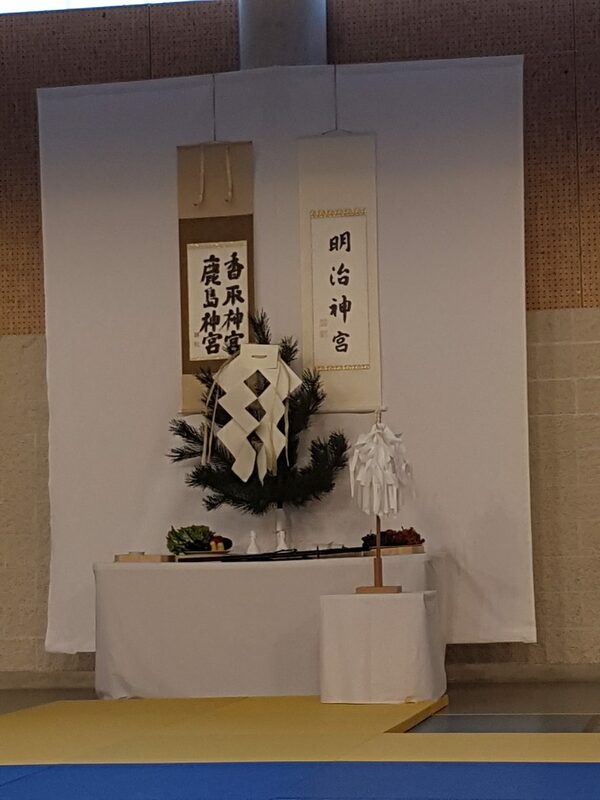 A shinto priest joined the japanese delegation for just this purpose – leading the ceremonies. Their purpose is always to purify spiritual impurities, which are unwillingly accumulated by each participant and brought to the seminar. In order to create the most beneficial teaching and learning circumstances we need to get rid of those. The dojo (lit. the place of the way, the place where you train the way) is also purified during this ritual and we ask the kami to assist us in our progress. In Shinto kami are spirits and divine deities inhabitating the world. Nature is animated and a tree, a rock or a house can host a kami – or even your IPhone (not joking). The spririts of the ancestors are also kami. And these kami can assist us in our spiritual journey, if they are benevolent. 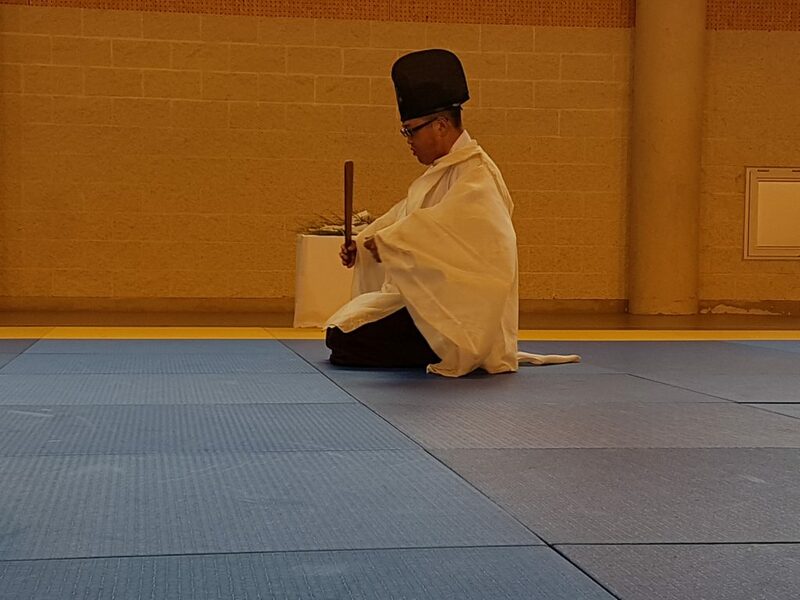 Mr. Kato, the Shinto priest during the opening ceremony. Only the fewest among us are shintoists, but even if you don’t believe in it, these ceremonies always have an independent own strength. They create commonality, and they allow you to settle down and to arrive spritiually. You can think what you want, but after the ceremony I feel more focussed and prepared for the coming week. 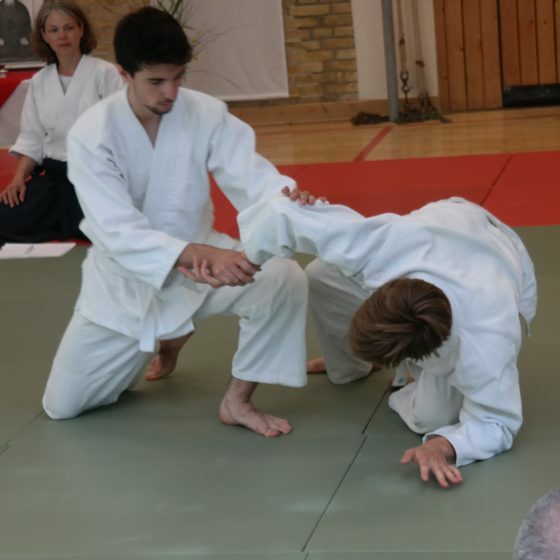 This is by the way also the reason why we bow before entering the tatami and before starting the class. It is just different to start a class like this instead of just pouring into the training hall and start doing sports. Off we go! But we start with an one hour lecture by Araya Kancho. 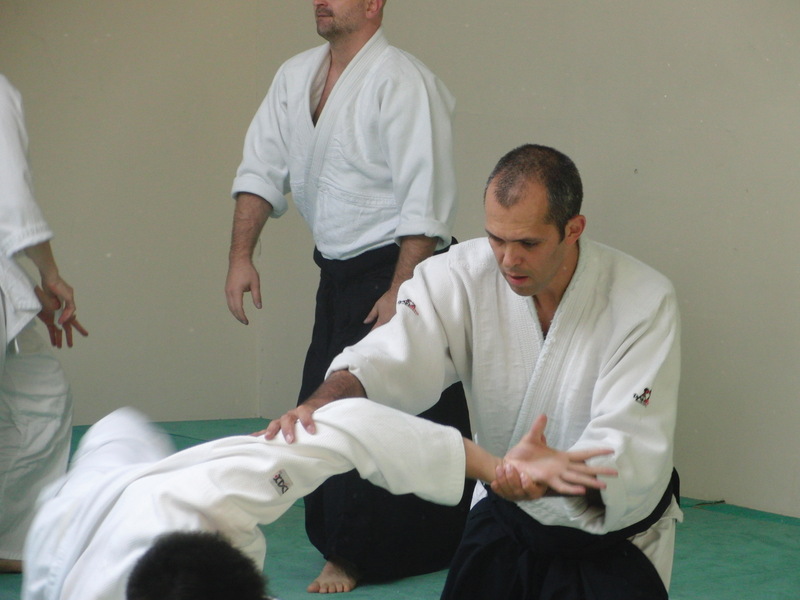 The current directore of Shiseikan dojo explains the roots of the traditional sword fighting schools in Japan. Kashima Shin Ryu and Katori Shin Ryu are two of those. I like the roots of the word ryu, that means school. The roiginal meaning is stream or to flow. Hence, the purpose of a school is the conservation of knowledge and tradition and passing it on to (flow) the young generation. 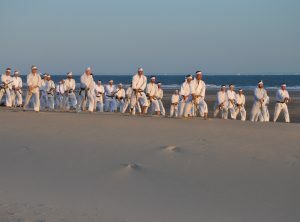 And Kashima-no-Tachi is at t5he beginning of this tradition of sword schools, before they seperated into different ryu. He the talked about the central principle in the Kashima sword: Ho Jo Do Ka. 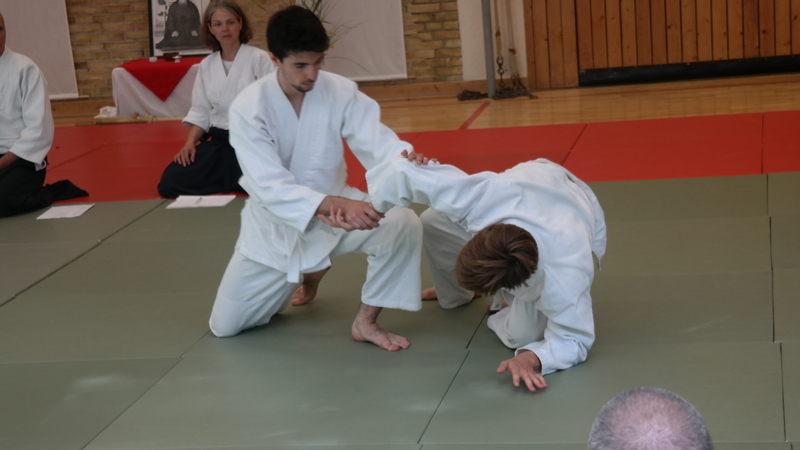 This can be translated as embracing the opponent and recover a state of harmony – a very nice anaolgy to the principles of Aikido, where we try to achieve the same thing..
At the end Araya Kancho spoke about Dai Jo (or Dai Cho?) 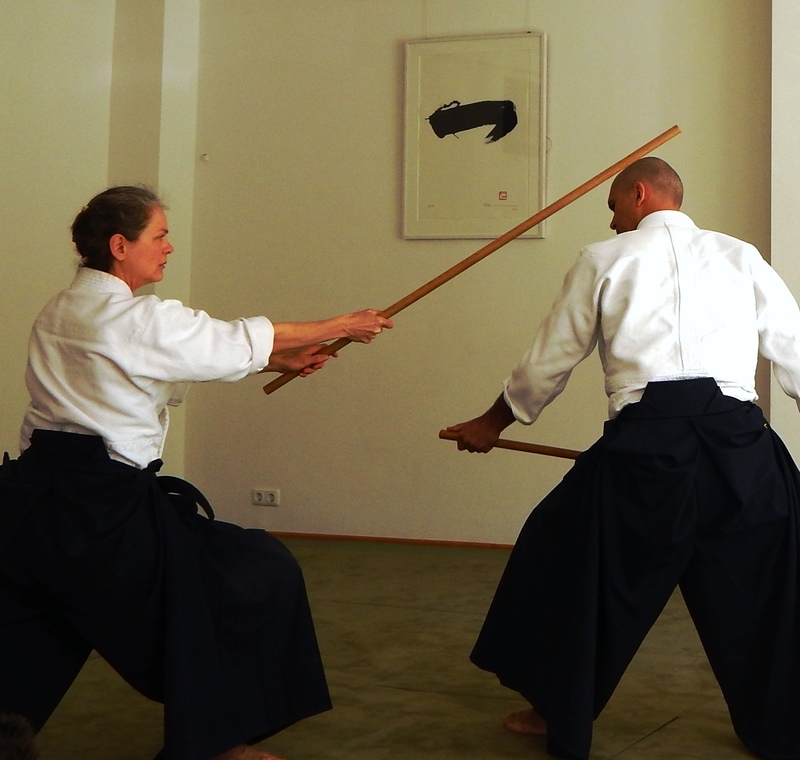 as the fundamental idea of Budo or Bushido. Dai Jo mean Okay. 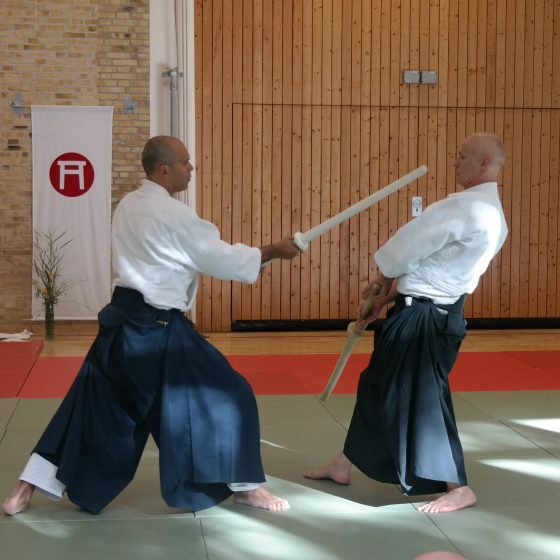 In this context one could say, that Budo is a way to develop the spiritual strength that is required to confront any situation with Dai Jo, with the feeling: Yeah, this is going to be Okay – I will find a solution – we can do that. The more hopeless a situation might appear the more spirit we need to challenge it. Immediately I was reminded of Johanna of Orléans, as a symbol for somebody whose Dai Jo saved a very hopeless moment. Historically probably questionable, but as an idea a nice analogy. 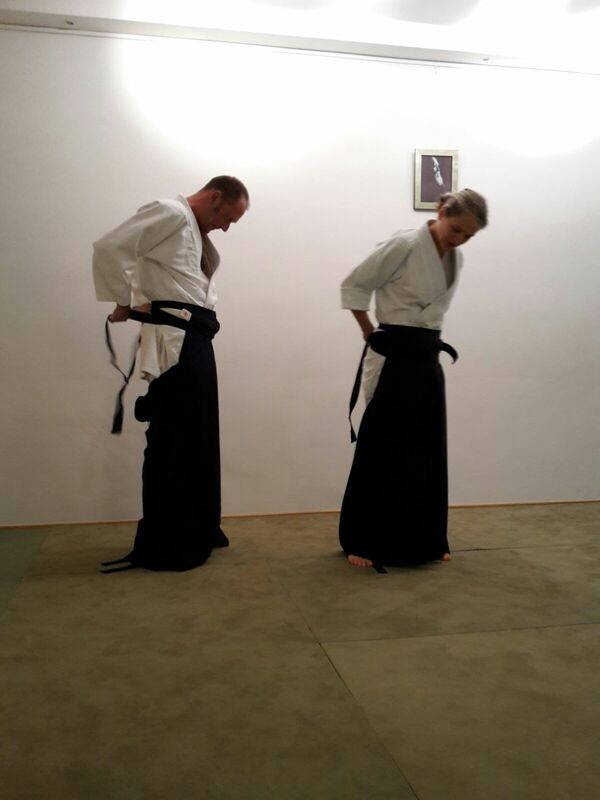 Whith this thought we started one hour of Aikido training. 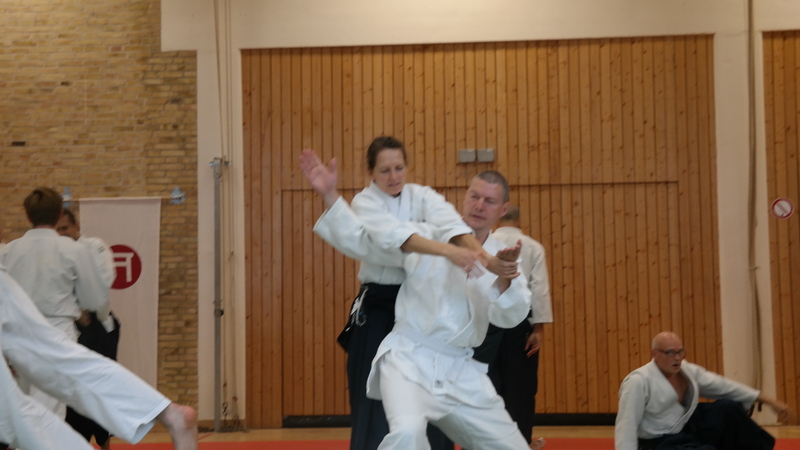 Shiseikan teaches a different Aikido style, but it is nevertheless a welcome opportunity to practice and apply the previously mentioned princicples. We were not trainig super intensively, but I start to sweat nevertheless – mostly thanks to my strong partners. 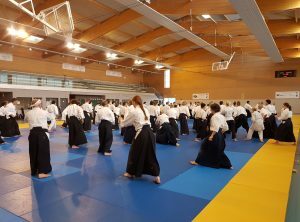 This afternoon the whole group will be split into smaller groups depending on their experience and we will practice Ken Jutsu. I am really looking forward to that. 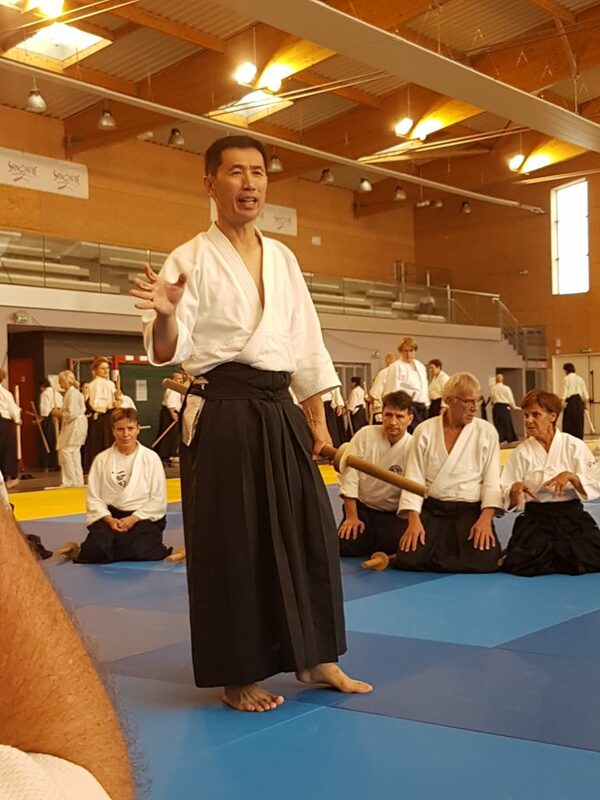 At the afternoon, the participants were split into three groups: beginners, intermediate and advanced practitioners.Udagawa sensei leads the advanced group, where I also enrolled. 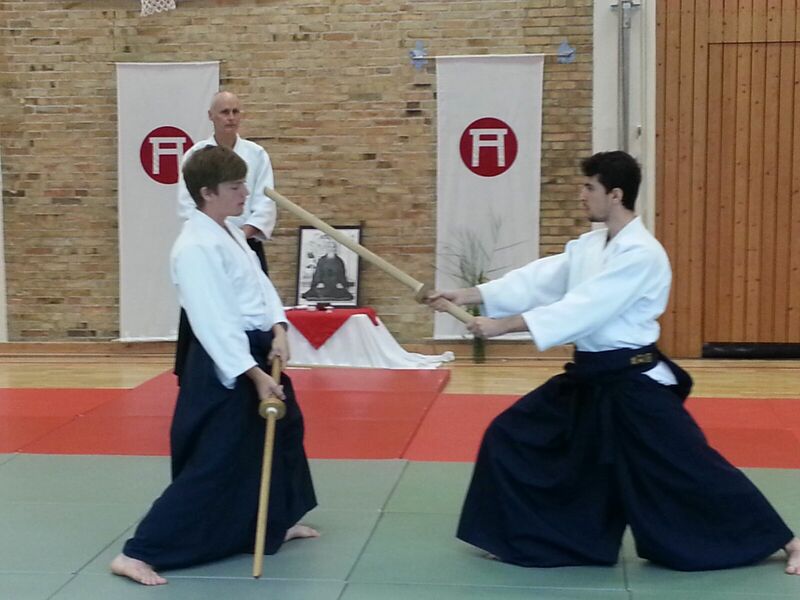 Topic of this week will be a deeper understanding of the 4. and 5. series of katas of the Kashima sword, i.e. 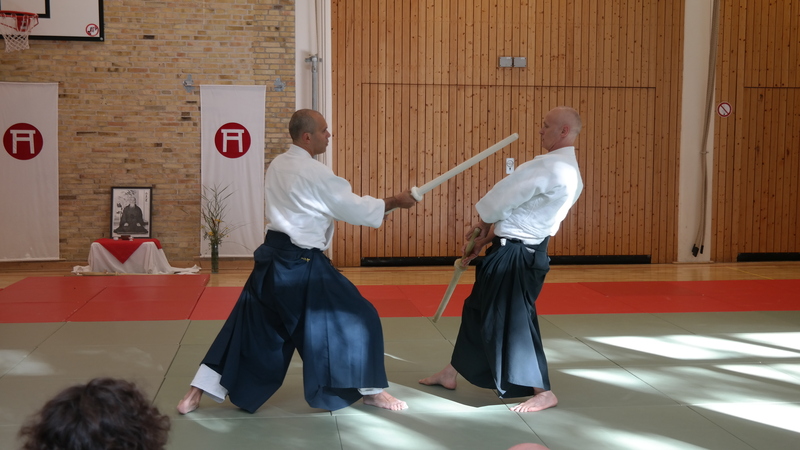 Jissen Kumi Tachi (実戦組太刀) and Kassen Dachi (合戦太刀). 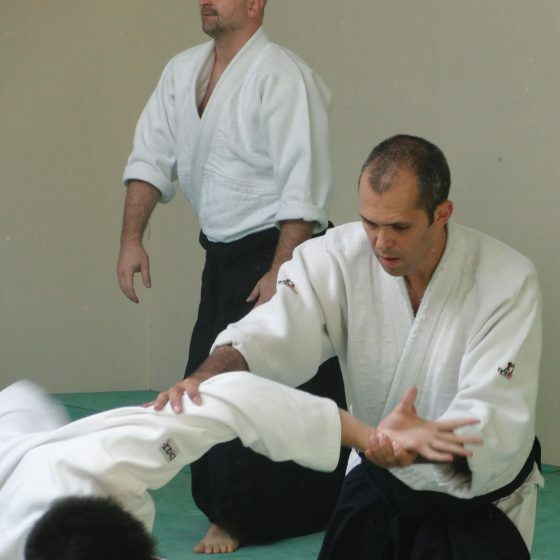 But in the beginning we will talke a look at the first three series again, but this time from the point of view of uke (the attacker), which is usually taken by the teacher. 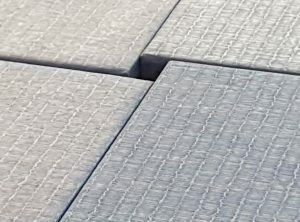 shin no wa – harmonizing/unifying of the individuals. Simply said: be at the right place at the right time with the right spirit. 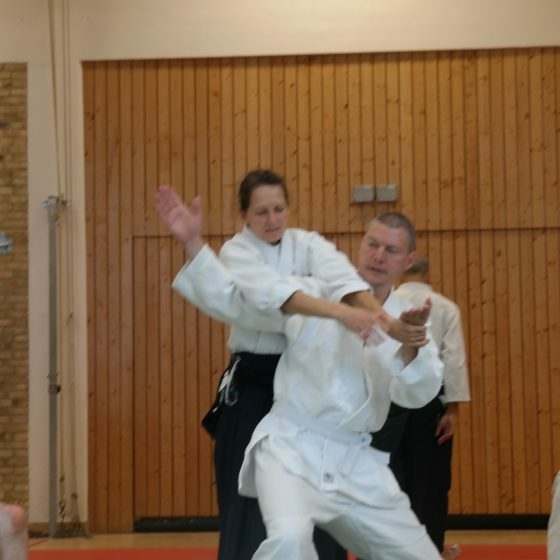 Ukes task in kata practice is to instruct shite (defender) in the principles of the kata. 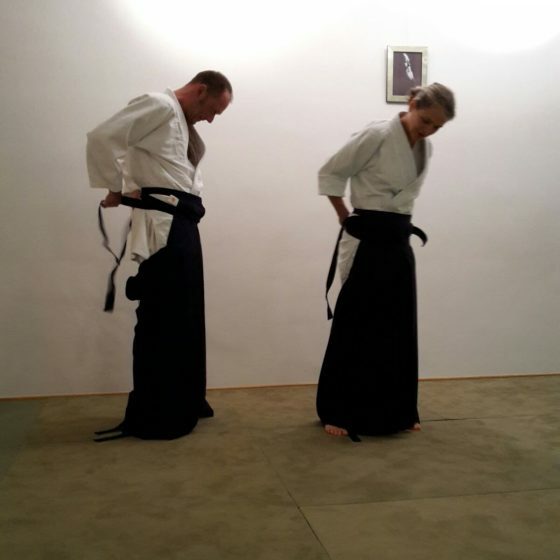 With this inmind we train the first and the second series (Kihon Dachi (基本太刀) and Ura Dachi (裏太刀)). Two intensive hours later the class ends. 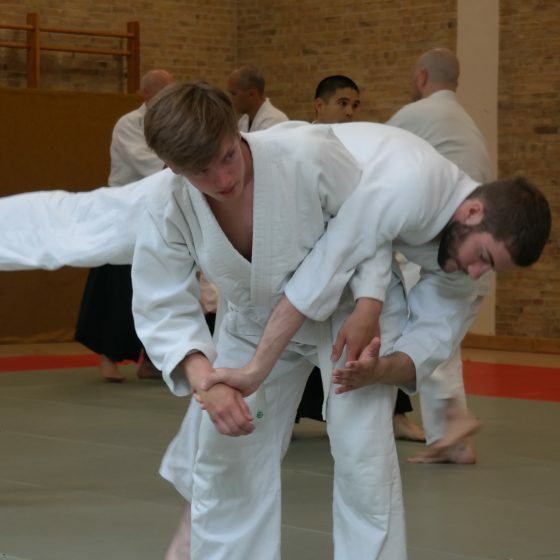 I really like the chance to continue training after the official classes. 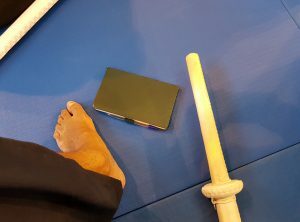 The teacher stay in the dojo and take ukemi and answer questions. Tomorrow we will move on to the third series. Like what your read? 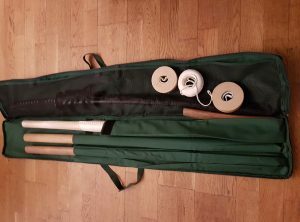 Want to try Ken Jutsu for yourself? Come to a trial practice!